It appears that some browser add-on installed along with my HP printer driver is slowing down my loading of web pages. Nice going HP. 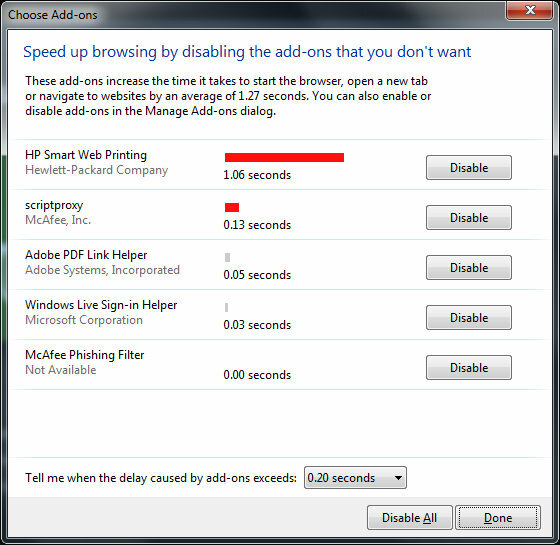 Let's slow down loading of every web page so you can give me "HP Smart Web Printing". I don't know what that is, but I don't think I want any "smart" anything from HP.